Our council was founded in 1994 through the efforts of Tony Day, William Boyde, and Father Frank E. Lioi. It was named after Saint Damien of Molokai to pay tribute to Saint Damien and his brave efforts to look after Gods less fortunate people suffering from leprosy. 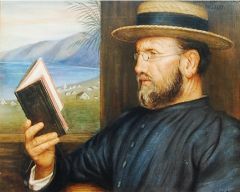 Saint Damien was a quiet hero, a relentless guardian of the oppressed. Damien of Molokai, the leper priest, inspired his own times and still serves as a symbol of charity in the new age. Council 11411 can proudly be known as Saint Damien of Molokai Council as it seeks to show care and concern for those most in need.